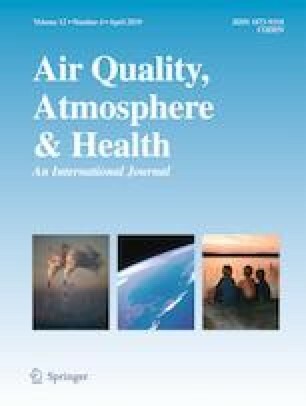 Many epidemiological studies have associated bioaerosol exposures with a variety of adverse health effects; however, the role of bioaerosol components in the development and manifestation of hypersensitivity and non-infectious respiratory diseases remains unclear. Despite many studies which have examined allergic responses to bioaerosols, less is known about non-allergenic effects. In order to elucidate the mechanisms by which bioaerosols can exert non-atopic stresses on a cellular level, there is a need for improving existing in vitro approaches. In response, a cohort of toxicology assays were optimized to create a robust analytical suite for studying the effects that biogenic atmospheric pollutants generate on two model human lung cell lines (A549 epithelial line and GDM-1 immature macrophage line). To demonstrate the utility for studying the cellular responses to select bioaerosols, cells exposed to curdlan (a linear (1 → 3)-β-glucan) were examined in a composite cytometry platform. Results suggest that curdlan has the potential to elicit significant responses in A549 and GDM-1 in two or more toxicological modes associated with exposure to airborne particulate matter. As designed, this suite provided a more powerful tool for characterizing curdlan-induced toxicological potential than any individual assay. Responses to curdlan were distinctly modal and cell line dependent, suggesting that the use of a suite of toxicological assays, in a common platform on different cell lines, can help provide important insights into the formative toxigenic responses that primary bioaerosols can induce in respiratory cells.